There are zeppelins over South Kensington and boat people in the South Atlantic. Among them are Emily and daughter Jenny, travelling south to safety and a reunion with John, who has gone ahead to find work. They travel with Browning, a sailor who has already saved their lives more than once. In the slang of their post-melt world, Emily and Jenny are refugees known as ‘mangoes’, a corruption of the saying ‘man go south’. If maritime refugees, the people setting off on desperate and heroic journeys across the Mediterranean or the Indian Ocean in their tiny boats, are the Ernest Shackletons of our day, then what they are exploring is the future. 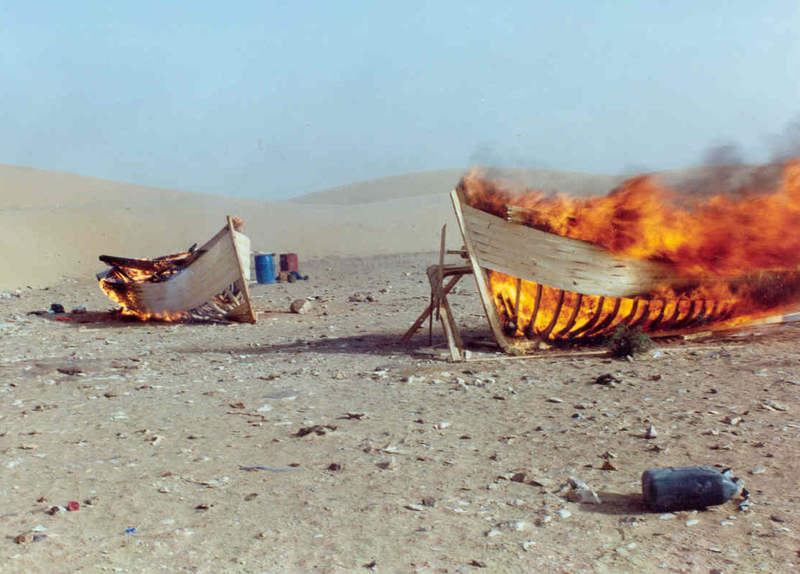 The image of the burning migrant’s boats at centre is exhibited courtesy of the artist Ursula Biemann who had been given the photo by the Royal Moroccan Police. Here is a larger version of the photo. Image: Royal Moroccan Police, courtesy of Ursula Biemann and Charles Heller, The Maghreb Connection, 2006. The Warlord of the Air by Michael Moorcock; three incredible and transformational works of literature that acted as navigational beacons in the writing of my novel. 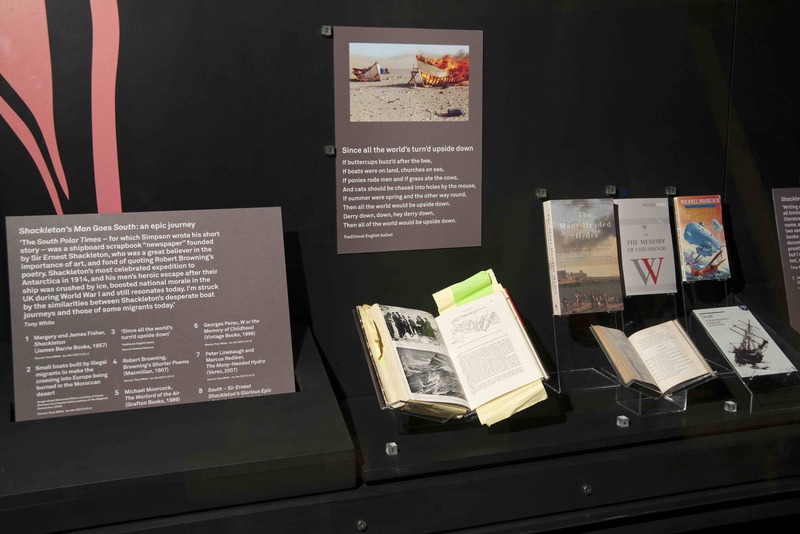 After an amazing two-year run, the Shackleton’s Man Goes South exhibition closes at the end of the day on Monday 27 April 2015, which means that the unique, ‘touchscreen ebook dispenser’ that is part of the display and was specially developed for the exhibition will be decommissioned also. I will miss it! Being published by the Science Museum was a chance to use the incredible platform and footfall of the Museum to experiment with new forms of publication. 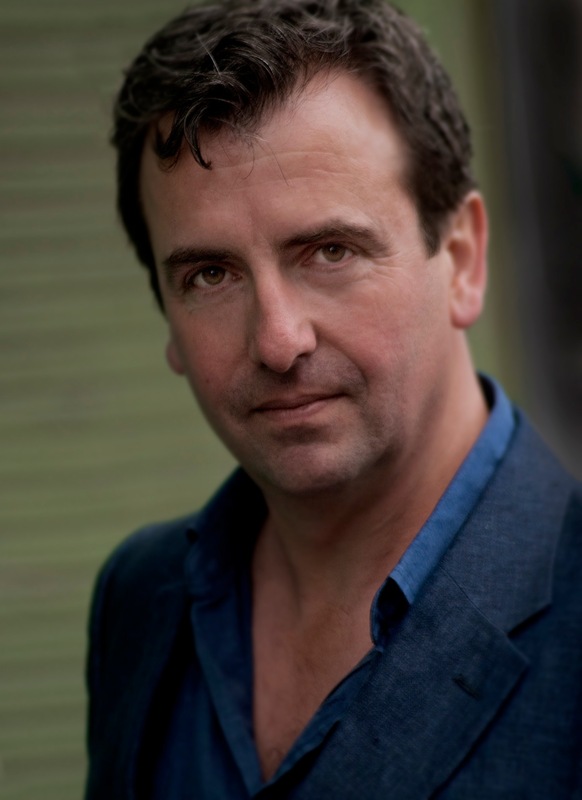 With the physical square footage of the traditional booktrade diminishing all the time it seems vital to collaborate alongside the trade to find new ways to go where readers are. Using a robust, museum grade, networked touchscreen kiosk unit, our ebook dispenser was at the heart of this. Visitors have been able to use the touchscreen to find out more about the book, listen to an ebook extract, or to send an ebook to their smartphone or tablet. Apart from one short interruption of service, when the Museum migrated all of their servers, the ebook dispenser has been chugging out free and DRM-free ebooks to Science Museum visitors on demand for two years, and is still going strong. If you want to see the Shackleton’s Man Goes South exhibition, or indeed the to see this ebook dispenser in action, there are only a few days left to do so. 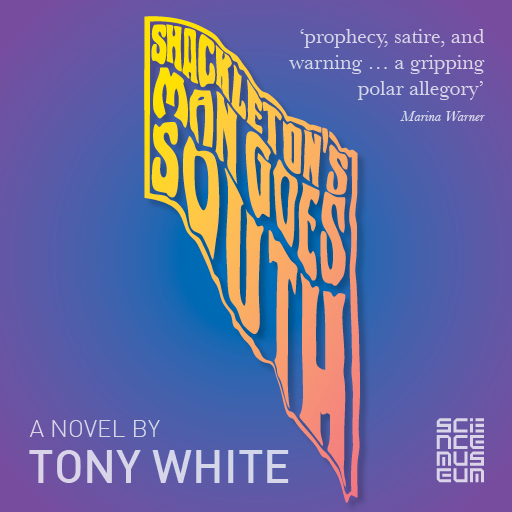 The novel is still available direct from the Museum’s website, and there are some copies of the limited edition paperback still for sale in the Science Museum shop.